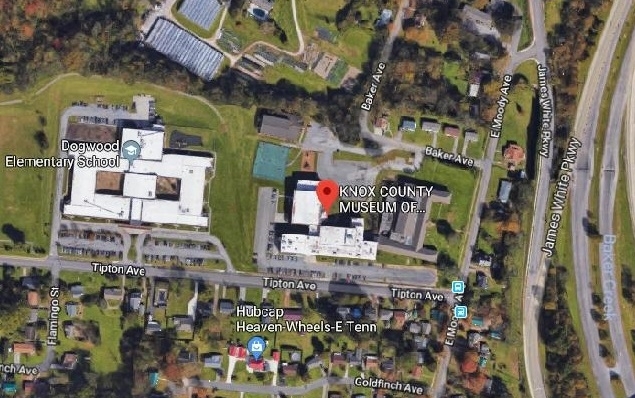 "Don't throw away tomorrow's history..."
The Knox County Museum of Education is located on the first floor of the Sarah Simpson Professional Development Technology Center, 801 Tipton Avenue. The museum opened in September 2006 and includes collections of materials from the Knoxville City Schools which merged with the Knox County Schools in 1987 as well as material on Knox County schools. Records of schools dating back as far as 1820 have been found and are available for viewing at the museum. Front View of the Sarah Simpson Center: the Museum is down towards the right side of the building.